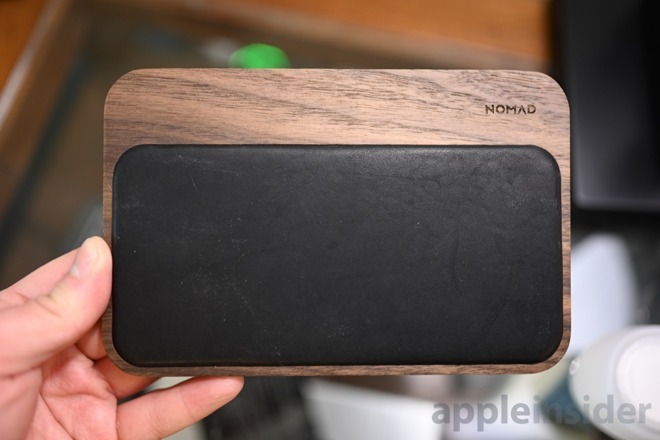 The back has a 7.5W USB-A port —which we use for our Apple Watch charging puck —as well as an 18W USB-C port —which we use to charge our iPad. This is a nice combo of ports that are quick and power all our gear from this one hub. 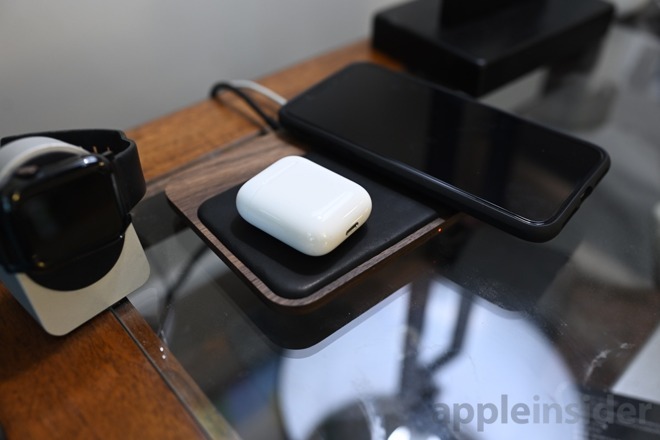 Using the new wireless second generation AirPods Charging Case, users can also charge those on top side by side with an iPhone. 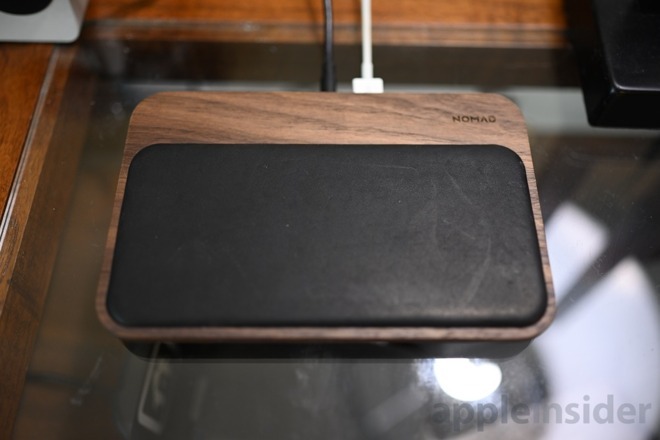 Walnut covers the whole top —sans the leather portion —and wraps around the sides, including the rear ports. 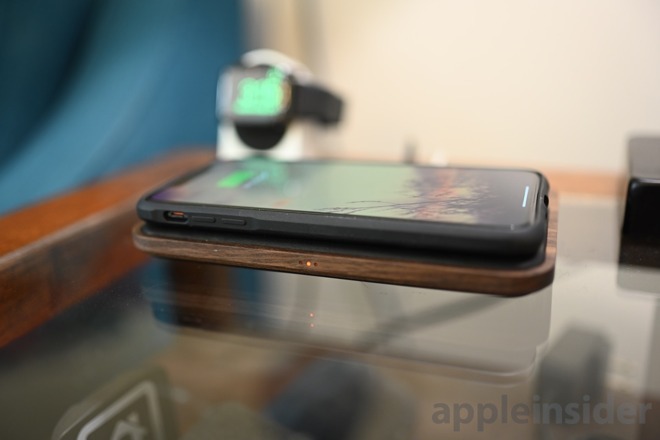 As the Base Station curves to the bottom, the wood ends leaving way for the plastic coverage and rubber feet. You can't see the bottom so we don't mind the trade-off here.